There are over 134,000 Wiccans in the United States and counting, according to the New York Times. For the singles in that mix, being with someone who also practices Wicca can be a top priority. So today we’re bringing you the go-to dating websites for Wiccans, where you’ll find open-minded people as well as affordable experiences. Match.com has more than 30 million members and more than 13.5 million monthly visitors from various religious and spiritual backgrounds — making it our top choice for Wiccan singles. After all, dating is pretty much a numbers game, right? In addition, Match has pricing on its side. The site has a no-cost, three-day trial, and a standard membership is 100% free, will never expire, and allows you to specify your wants and needs (including religion and spirituality) and then browse by yourself as well as get recommendations sent to your inbox. “Wiccan, Pagan, Druid, Shaman friends all welcome to join” are the words that greet you on Dating Wiccans, which was created in 2015. It only takes four pieces of information to get started. Just choose your gender, the gender you’re interested in, your city or zip code, and your date of birth. Then you can add photos and more details about yourself, search for and receive matches, and communicate — for free. Wicca Dating strives to help you “discover local witches,” and the team does that with basic features, like location-based browsing, as well as advanced ones like live webcams and private messages. You’re already creating magic in other parts of your life, so why not create some in your love life as well? 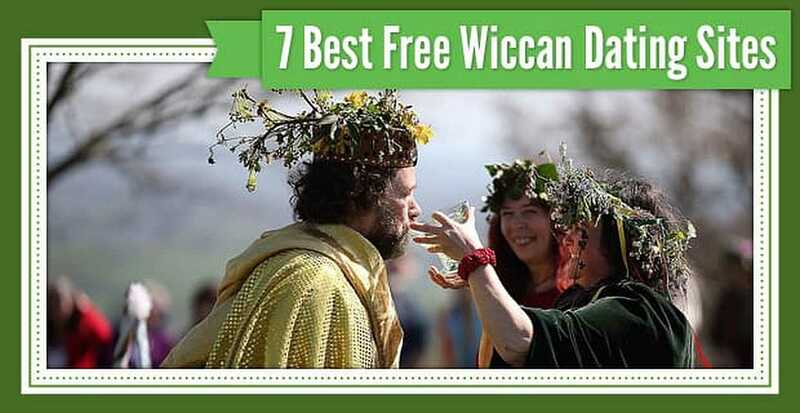 Thousands of solo Wiccans and Wiccan groups flock to Wicca Dating not just because it’s free but also because it works. Complete a few steps and you’re officially a member of Wiccan Personals: 1) Input your gender and the gender you’re looking for (the site is lesbian and gay friendly). 2) Select your birthday. 3) Provide your email. 4) Decide on a screen name. Plus, it won’t cost you a penny to do so. Another perk of joining Wiccan Personals is that your profile will appear on numerous other Wiccan and general dating sites because it’s part of the Online Connections family. Wiccan Dating Site is dedicated to witches who only practice good magic and who want to connect with others who also want to bring more peace to the world. Besides that commonality, its members are of varying ages, genders, sexual orientations, ethnicities, and backgrounds. Sign up, fill out your info, modify your profile whenever you want, browse singles, get match suggestions, and send virtual flirts — you won’t need your wallet for any of it. Witches, Wiccans, Druids, Shamans, Pagans, Heathens, and anyone interested in an alternative lifestyle will feel right at home on Witch Dating. You can upload photos and videos, search based on your criteria, and send virtual winks, IMs, and messages — for free. When you feel like taking a break from online dating, check out the site’s blogs, games, quizzes, store, and section for WitchFest. Blessed Be to These Wiccan Dating Websites! Not everyone understands Wiccan beliefs and values, so when you need to be around people who do, these sites are the easiest, quickest, and most fun option. While there may be 134,000 Wiccans in the US, there are millions online who are from all over the world and who can’t wait to meet someone like you.